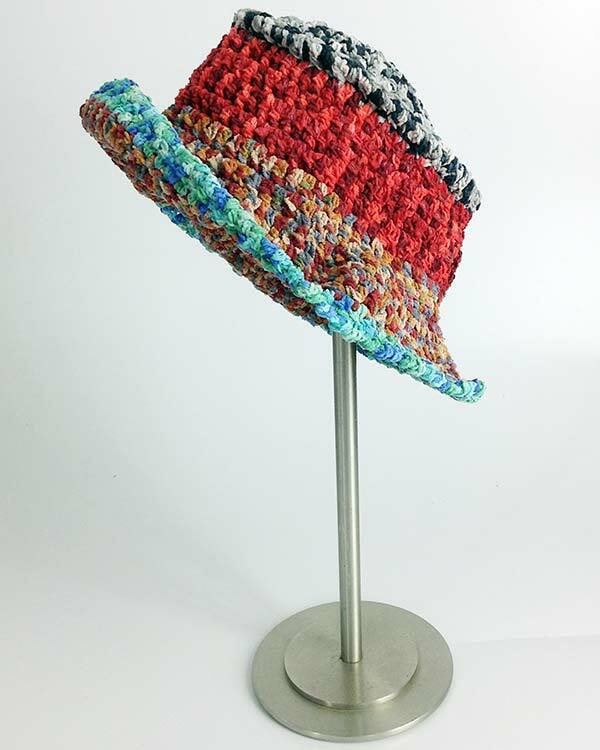 Joyce Geisler is a very talented designer, crocheter, and avid crafter. 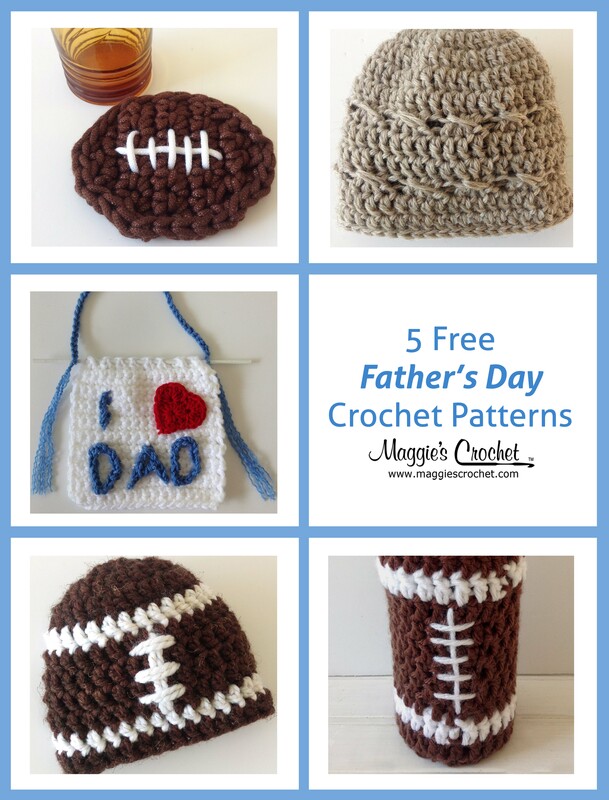 She is skilled in all types of crafting and woodworking but crochet is her favorite because she finds it so relaxing. After 10 years of crocheting, she enrolled in a class and learned to knit. At 14 years old, Joyce learned to crochet while her aunt was teaching her grandmother. 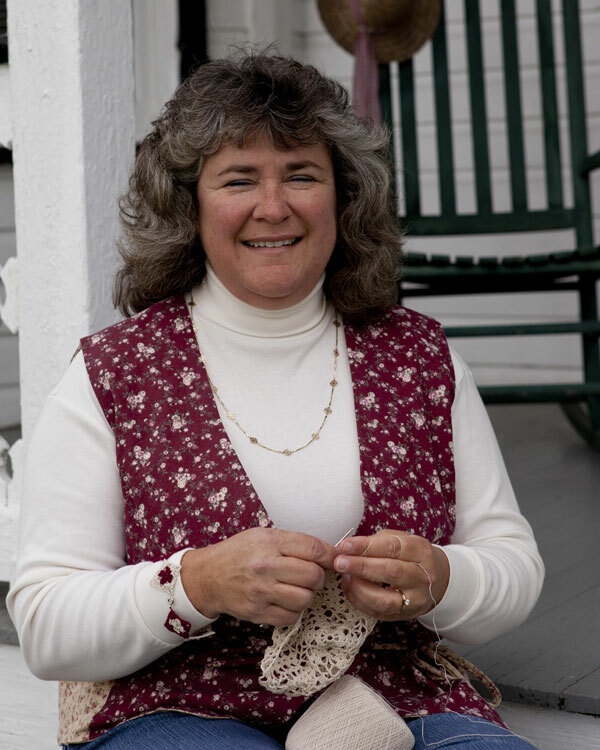 She experimented with a few afghans, but she found a passion for doilies and thread crochet which she has been making for over 30 years now. Joyce and her husband have been farmers all their lives and after she discovered filet crochet she started making things for the home to depict their farm life. She has made a plethora of runners and valances with cows and farm machinery. 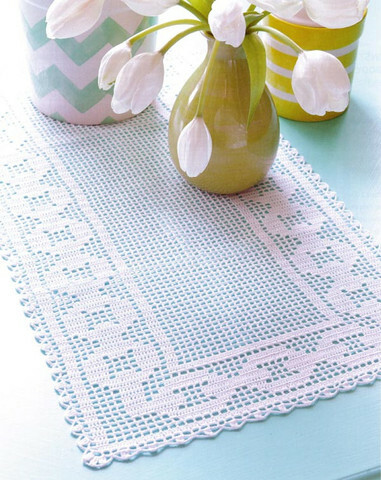 Her second pattern, “Down on the Farm” Table Runners, was actually published in Crochet World which was one of her first original designs. As responsibilities shifted at the farm, Joyce and her husband bought tractor trailers and trucks to start hauling fertilizer for a local company. This meant a lot of time was spent in the field waiting while the fertilizer was being unloaded. Joyce took this time to crochet and create patterns on graph paper. 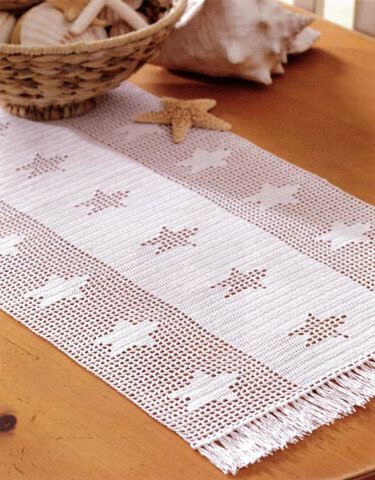 She says, “Inspiration is all around when it comes to designing.” In fact, the “Stars and Stripes” pattern in her book, “Filet Table Runners,” was inspired from a star sign at a farm that she passed while driving. Her “Chain Links” pattern was inspired from a unique fence that she passed. Crochet is Joyce’s hobby but someday she hopes to have more patterns available and to create a business but for now she is too busy helping on the farm. 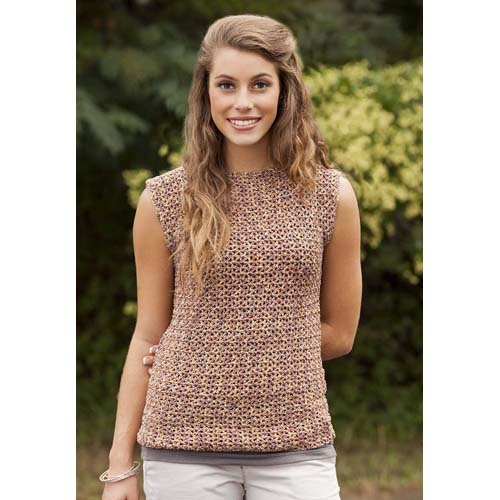 Joyce has various patterns published on Ravelry, Red Heart, Crochet World, and Interweave Crochet – Winter 2014 Issue. This year she has three patterns coming out including two scarves, one in Crochet! magazine and one in Crochet 1-2-3. She also has a lamp shade cover schedule to be published in the summer issue of Create and Decorate. 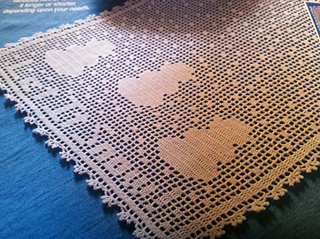 Joyce’s first design “Let It Snow Table Runner” was published in February 2006 in Crochet World. 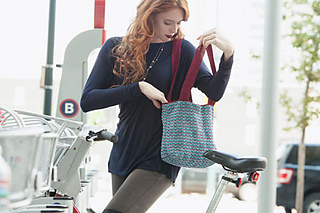 It was her first attempt at submitting a pattern and to her surprise it as chosen as pattern of the month! In March 2011, with the help of her daughter, Barb, who is a photographer, Joyce submitted photos of a pattern set to Leisure Arts. They were published in 2013 and she received the first copies in the mail. 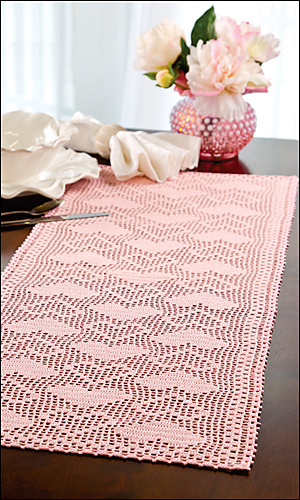 Published patterns from various magazines can be found on Ravelry and Joyce’s Filet Table Runners can be found on our website. If you enjoyed this post, please read about other talented designers, Patti Davis and Marilee Rockley.